Auction Report – Camp Naish Frontiersman – Did you miss it? 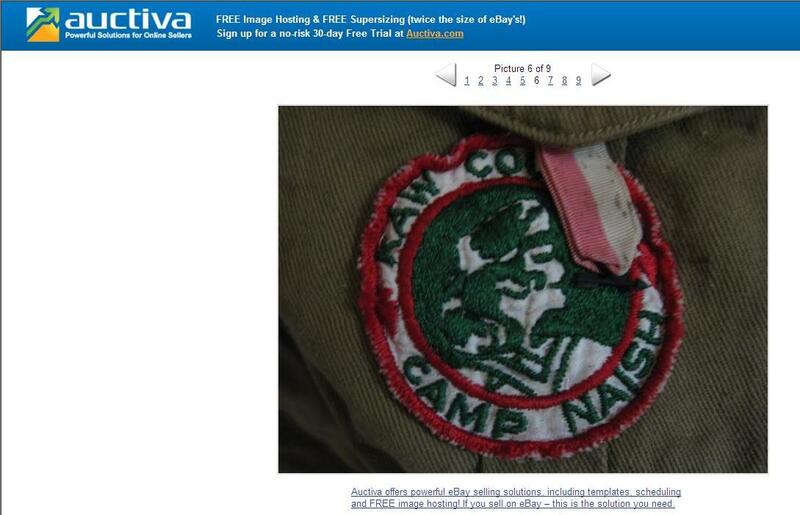 Well, some of you Camp Naish collectors will be disappointed to know that a frontiersman or “Daniel Boone” patch on a uniform closed recently on eBay. If you take a look at the auction, the title and description weren’t very descriptive. Accordingly, the item didn’t bring very much money (lucky for the winning bidder). Here’s a link to a PDF of the complete listing. Have you found any local items that have gone under the radar? If so, drop me a line.